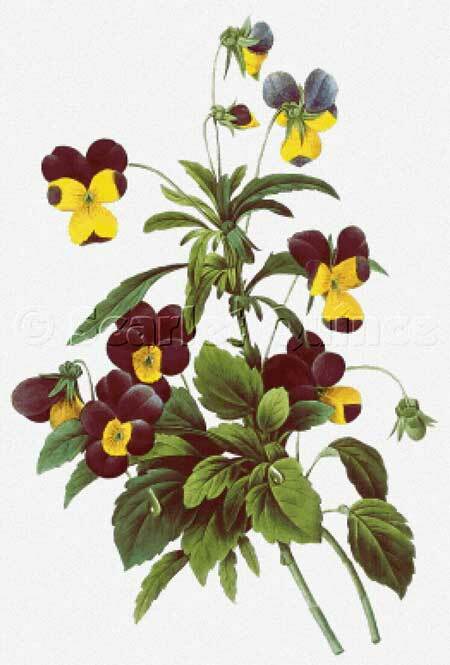 A botanical print of a Viola tricolor. A common European wildflower, it has many nicknames such as heartsease, heart's ease, heart's delight, tickle-my-fancy, Jack-jump-up-and-kiss-me, come-and-cuddle-me, three faces in a hood, or love-in-idleness. Background is not stitched. White fabric recommended.